The Mamallapuram Dance Festival, held in the ancient port city of the Pallavas of Tamil Nadu, has performances by exponent dancers who perform Bharat Natyam, Kuchipudi, Kathak and Kathakali against the magnificent backdrop of the Pallava rock sculptures. Another delicately carved temple of Pattadakkal, in the southern state of Karnataka, the ancient capital of the Chalukyas, hosts an annual Pattadakkal dance festival, to celebrate the marvelous heritage. The classical dances performed with the backdrop of the elegantly carved temples gives the performances an aura of worship, rather than jus an art form. The month begins with a 15 day affair with the Surajkund Fair. The Surajkund crafts Mela as it is known all over India is significant due to the place where it is held. Surajkund is in Faridabad near Delhi. It was an ancient city associated with the great epic Mahabharata. Artisans from all around the country come her to display their handicrafts. The open air fair is based on a theme state every year. The ambiance is picturesque rural bazaar of India. Along with a vast choice to shop there are cultural shows arranged pertaining to the local art of the theme state. Cuisines form all corners of India are offered here. The much awaited event in India, at the most coveted historical monument and epitome of Love, is the Taj Mahotsav. During this festival at Agra, the city of Taj Mahal, the best of the Indian cultural aspects are on display. Indian handicrafts travel from all the corners along with their cuisines for this festival. Great performers come from all over India to perform with the majestic backdrop of the Taj. Being a part of the Taj Mahotsav is a unique and unforgettable experience. During this part of the year the nature is in full bloom. Various types of flowers with vibrant colors are on bloom. The Garden Festival of Delhi is just that. It is a magnificent display if exotic flowers and plants. Definitely a horticulturists’ delight. Rose Show of Chandigarh is also held in the same lines with only roses on display and the magnitude is much larger that of Delhi. 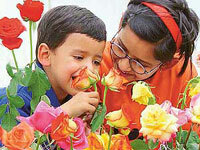 Held in the Rose Gardens of Chandigarh, this is the biggest Rose show in the country. Near Mumbai the only one of its kind festival is celebrated at the coveted destination of Goa; the Goa Carnival. The exuberant Goa Carnival is the most famous annual feature of Goa which has been celebrated since the 18th century. Held in mid- February, just before Lent, the three day event is a time for feasting and drinking with lively processions, floats, the strumming of guitars and graceful dances. The great finale is with the famous Red-and-Black dance held by the Clube Nacional in Panaji. Another recently started important festival organized further down south is the Deccan Festival, held in the Nizam’s city of Hyderabad. This annual affair celebrates the soul of the city with the local folk arts of the city. Mushairas are held and qawwalis and ghazals are sung. The pearls and bangles, the local specialties are put on display and so is the ethnic cuisine of Hyderabad. The other cultural festival that Madhya Pradesh hosts is the Tansen Music festival at Gwalior. The Gwalior Gharana has always been one of the most prominent styles of the Hindustani classical music. The lineage that Madhya Pradesh and especially Gwalior has provided to the Hindustani classical music under the patronage of various Kings is well known. The patriarch of the Hindustani Classical music and one of the nine jewels of the Emperor Akbar’s court, Ustad Tansen lays buried in Gwalior. This place comes alive with distinguished artists’ performances when the place becomes the venue for the annual music festival. What other better way to pay homage to the great singer but performing on his tomb, under his blessings. The second important festival is the Ellora Festival that takes place at the ancient world heritage site of Ellora in Maharashtra. These intricately carved caves into the sides of a basaltic hill of the Sahyadri Mountain are the best examples of rock – cut caves in the whole world. It is the meeting point of three faiths, Buddhist, Jain and Hindu and nearly 1500 years old. The cultural programme of Dance and music is performed at the main Kailash Cave which is a lavishly carved cave cut from one rock and is world’s largest monolithic cave. The month of June is the beginning of the rainy season for the southern part of India. Hardly any cultural festivals take place during the month of June due to rains and the heat in the northern parts of India. The only attraction of June is the Hemis Festival of Leh – Ladakh. Hemis is celebrated in the cold desert of Leh and Ladakh in the state of Jammu and Kashmir. Hemis is the celebration of Birthday of Guru Padmasambhava celebrated in the monastery of the same name. Masked dances are performed and a huge fair is associated with this festival of the northern tip of India. Around the same time the world’s largest cattle fair is held in Sonepur village on the bank of the River Ganga in the sate of Bihar known as the Sonepur Cattle Fair. This month long affair is great display of bedecked cattle from all over the country. December is the coldest month of the year in India. The southern states are pleasant and the northern states face crisp chilly winters. Along with Christmas and the New Year celebrations December brings in a host of cultural festivals and the most prominent amongst them is the Konark Dance Festival. India is a fascinating country with innumerous Gods and their innumerous temples. But the Sun temple of Konark is a unique temple with ancient legacy and surrounded by myth and legends. When these ancient temples form a backdrop to the dance performances, they actually come to be a form of worship or prayers by the dancers to the Lord of the temple. The Vishnupur Festival in West Bengal’s Vishnupur district celebrates the terracotta temples and the silk sarees that it is famous for during this festival. These are the prime cultural festivals those are held annually in India. Other than these there is the International Book Fair of Calcutta and Delhi and Crafts Fair of Udaipur and Hyderabad. Nearly every state and the small temples or even the churches and the mosques complete the worship by arranging a huge fair for the occasion. India truly is a land of festivals and a land of cultural extravaganza. Good post about India culture and Indian festivals. Kite festival in Goa very nice with flying kites near beaches in Goa. 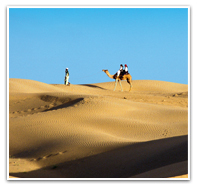 Book a nice Goa beaches package and holiday in Goa package at very affordable price.